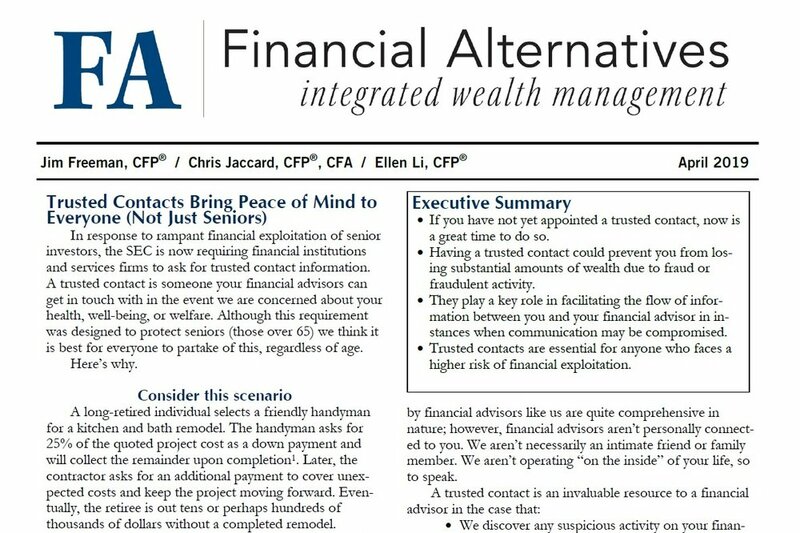 In response to rampant financial exploitation of senior investors, the SEC is now requiring financial institutions and services firms to ask for trusted contact information. Having a trusted contact could prevent you from losing substantial amounts of wealth due to fraud or fraudulent activity. They play a key role in facilitating the flow of information between you and your financial advisor in instances when communication may be compromised. Trusted contacts are essential for anyone who faces a higher risk of financial exploitation.